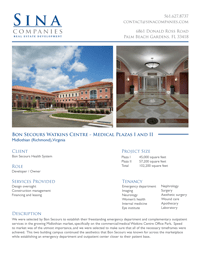 Executives from Sina Companies were previously selected by Bon Secours to establish their freestanding emergency department and complementary outpatient services in the growing Midlothian market, specifically on the commercial/medical Watkins Centre Office Park. Speed to market was of utmost importance, and our executives were selected to make sure that all of the necessary time frames were achieved. 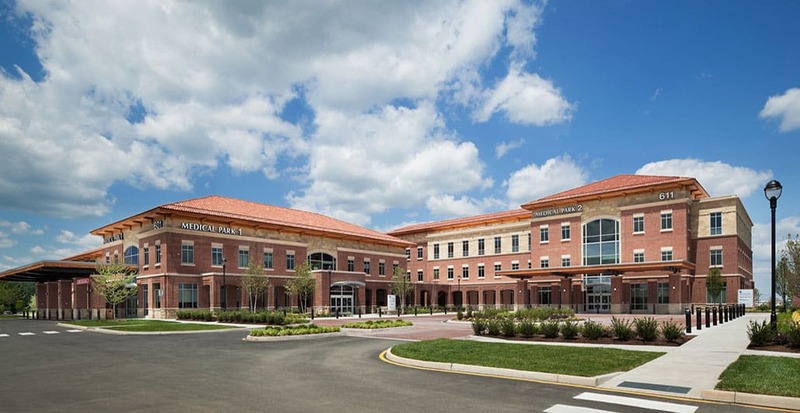 This two building campus continued the aesthetics that Bon Secours was known for across the marketplace while establishing an emergency department and outpatient center closer to their patient base.